String Quartet no.2 in D major. piece does conform to a standard four movement scheme. the program seems to lead to extraordinary dramatic intensity. 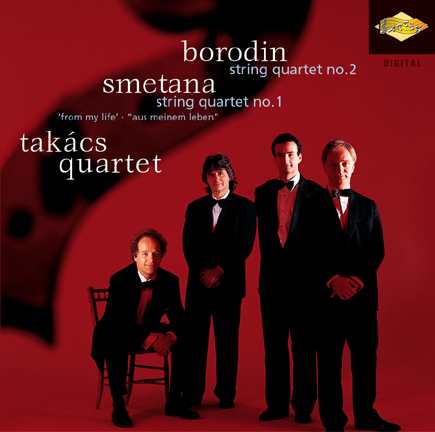 Borodin�s String Quartet no.2  is also programmatic to an extent. melodies in the first and third movements represent his wife. instruments throw around with great abandon. currently recording the entire Beethoven quartet cycle. ������� String Quartet No.1 in E minor "Z m�ho z�ivota"
������� "From my life" � "De ma vie" � "Aus meinem Leben"
First released by London/Decca in 1996. Group Limited, a division of Universal Music Group.